The AN-KVM-HDMI-EXT01 Fiber optic extender provides extension of HDMI signals long distances over one fiber optic cable, it supports high resolution up to 1080P, EDID pass-through, KVM signal, RS232 signal and external audio transmission function. 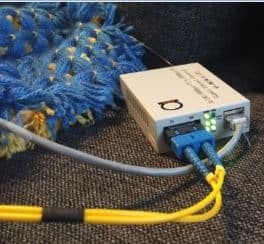 Long-distance transmission of HDMI, audio, RS-232 signals via a single optical fiber. The sender supports HDMI audio transmission and independent stereo transmission. The receiver HDMI can take the audio output and a separate stereo output. Supports 1080p 60Hz, single-mode fiber transmission up to 1 km. 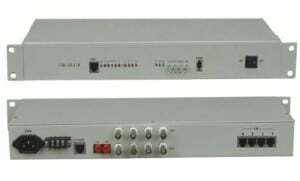 transmission of high resolution with high quality by its good stability and powerful security.